It’s Monday morning at the office and a few of the staff are arriving at work with groans and moans after relaxing and satisfying weekends. Even Pope Francis was talking about moaning when yesterday he spoke on his visit to Lithuania commenting that “before his invitation to hope, Paul repeats three times the word “moan”: creation moans, men and women moan, the Spirit moans within us” (cf. Rom 8:22-23.26). This moaning comes from a yearning for fulfilment. Today we would do well to ask if we ourselves moan inwardly, or whether our hearts are still, no longer yearning for the living God. Ours should be the longing of the deer for springs of water as we seek God’s mystery, his truth, and his beauty. Perhaps our “prosperous society” keeps us sated, surrounded by services and material objects; we end up “stuffed” with everything and filled by nothing. Perhaps it keeps us distracted and entertained, but not fulfilled. As men and women of special consecration, we can never afford to lose that inward moaning, that restlessness of heart that finds its rest in the Lord alone (ref Augustine, Confessions, I,1.1). No instant news, no virtual communication can substitute for our need of concrete, prolonged and regular moments – calling for sustained effort – of daily dialogue with the Lord through prayer and adoration. We need to keep cultivating our desire for God. As Saint John of the Cross wrote: “Try to be continuous in prayer, and in the midst of bodily exercises, do not leave it. Whether you eat, drink, talk with others, or do anything, always go to God and attach your heart to him” (Counsels to a Religious on How to Attain Perfection, 9b). This moaning can also come from our contemplation of the world around us, as a protest against the unsatisfied needs of our poorest brothers and sisters, before the absence of meaning in the lives of our young, the loneliness experienced by the elderly, the misuse of creation. It is a moaning that would mobilise efforts to shape events in our nation, in our cities, not by acting as a pressure group or in a bid for power, but in service to all. We too should be moved by the cry of our people, like Moses before the burning bush, when God spoke to him of the suffering of his people (cf. Ex 3:9). Listening to God’s voice in prayer makes us see, hear and feel the pain of others, in order to set them free. Yet we should also be concerned when our people stop moaning when they stop seeking water to quench their thirst. At those times, we need to discern what is silencing the voice of our people. 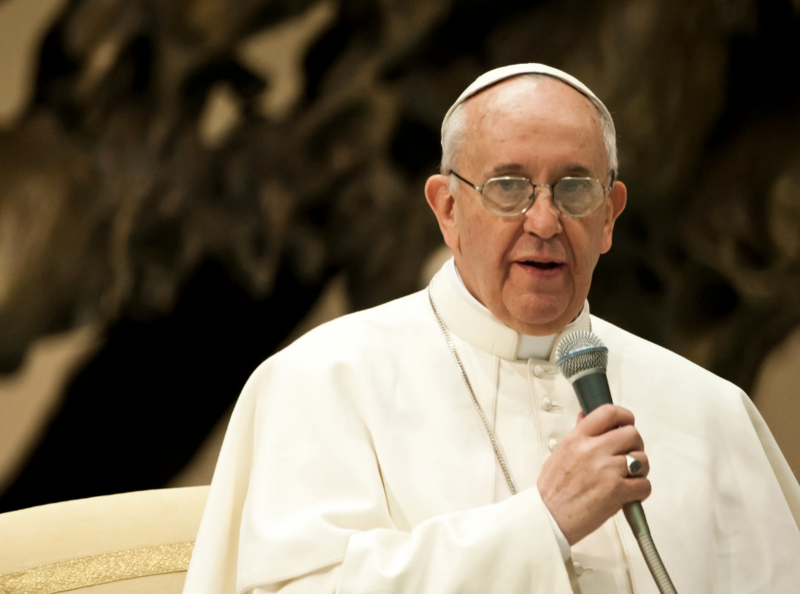 You can read the full text of the pope’s reflection at this link. 2 Responses to "+ve moaning"
Pope Francis sees with the eyes of the heart. We are made with a hunger for God. That is our growing space. The glass is half full and should not be seen as half empty.